FORT LEONARD WOOD, Mo. 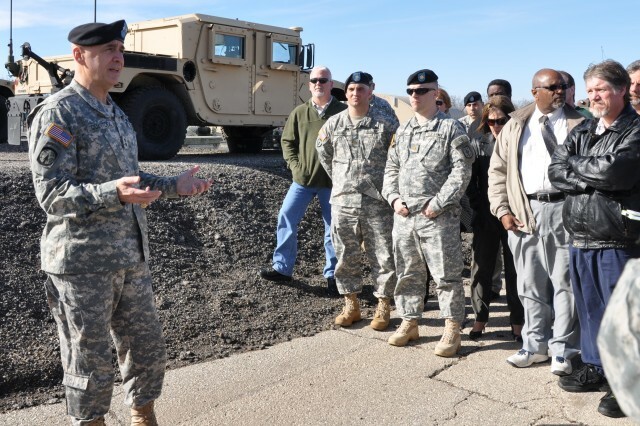 -- Less than two weeks remain until a major U.S. Northern Command-directed exercise that will demonstrate the 4th Maneuver Enhancement Brigade's Chemical, Biological, Radiological, Nuclear and high yield Explosives Consequence Management Response Force mission. The CCMRF mission is spearheaded by Joint Task Force - Civil Support which is comprised of active and reserve members from all five branches of the armed forces, as well as civilian personnel, who stand ready to aid civil authorities in managing the consequences of a domestic CBRNE accident or incident requiring federal assistance as directed by the president. Soldiers from the Headquarters and Headquarters Company, 4th MEB, along with 193rd Brigade Support Battalion comprise one of three task forces that fall under JTF-CS. Key leaders of the task force operational staff are working with Fort Leonard Wood garrison staff and the U.S. Army Installation Command to synchronize standard operating procedures, which will ensure a smooth, rapid deployment of U.S. Army Forces Command assets from Fort Leonard Wood whenever the Nation calls upon them. 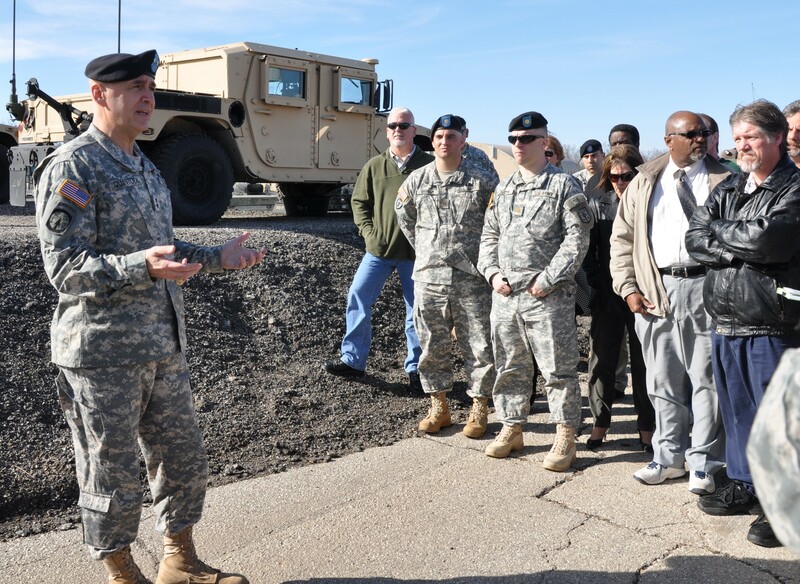 "We've been working with the Fort Leonard Wood installation staff on rapid deployments for a while and it's very exciting to see the progress that we have made," said Maj. Levi Sutton, the 4th MEB chief planning officer. "You don't always get the feeling of progress when you're sitting in meetings, on the telephone, or behind a computer, but then an event like this happens, and you realize that we've made tremendous progress in just a few short months." Tuesday, Sutton and other post agency representatives conducted a Rehearsal of Concept (ROC) drill shutting down a portion of the post and staging several stations post-wide in order to support a large-scale 4th MEB deployment such as the CCMRF Vibrant Response exercise scheduled to be held at Camp Atterbury, Indiana, later this month. "At the end of the day, the country expects us to get these [Soldiers] out of here because they have consequence management, they've got world-wide responsibilities to deploy and take care of our nation's mission," said Maj. Gen. David E. Quantock, the Maneuver Support Center of Excellence and Fort Leonard Wood commanding general. "It really is important...that we meet the 4th MEB's requirements to get them off installation [to] where they need to go." "We're going to give them 100 percent of our time and effort because ultimately, their success is our success," he added. 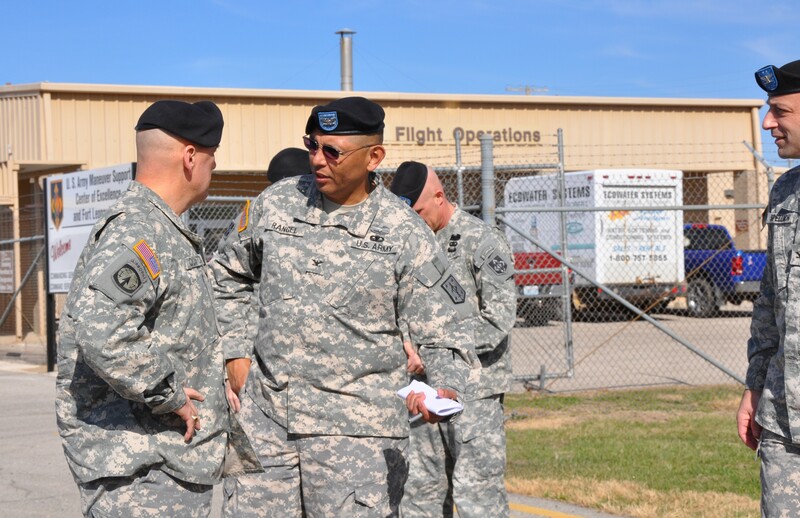 Editor's Note: This drill is the second to be completed with the support of Fort Leonard Wood agencies in conjunction with the 4th MEB's domestic disaster response force.